Bringing you the best posts every week! 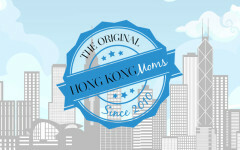 Hong Kong Moms on Facebook* has become such a great resource for what’s happening in our fantastic city that we’ve decided to pull out the top themes of the week — keeping those of you who missed the best stuff in the know. Here, a summary of the hot topics. We hope you enjoy it! Help! Ghost is Haunting Apartment! Creepy Drone Spying in Bedroom Window! Child Away for School Still Eligible for PR? Highly Recommend Sri Lanka for a Family Trip! Grocery Bills Gone Crazy — Budget Tips Needed! Help! My Kid is Acting Like a Jerk! Flat’s Helper Room is the Size of a Cupboard!? Are Upscale Dental Clinics Overcharging? Bars of Soap for Box of Hope! A Stroller MUST be Folded on the Bus — Is Really This Manageable? Go Hong Kong Moms: Our Name in Lights! What is Your Favorite Food from M&S? Ten-Year-Old Daughter Has Hairy Armpits! What to do? Is Thermage Worth the Big Price Tag? And Where is the Best Place to Have it Done? Exhibitionism at the Pulse! Ick! Is Peppa Pig Unhealthy for Kids?! How to Heal a Motorcycle Burn Scar? What is the Going Rate for Dental Work Here? Where to Get Quality Suitcases? Inflated Quotations for Curtains! Are There Honest, Respectable Curtain-Makers Here? Is Vinegar Strong Enough to Clean the Bathroom? Costco Coming to Hong Kong?! No..But Close! Recommendations for a Good Italian Restaurant in Central? Moving to Hong Kong and Looking for “Flat”, Walkable Neighborhood. Does it Exist? 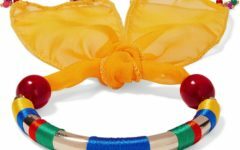 What is the Stupidest/Funniest Gift You Have Ever Received From Your Spouse? Hitting the 10-Year Marriage Mark. How to Keep the Romance Alive? First Long-Haul Flight with Baby. Need Tips! Handyman Recs? Price is No Object! Teaching Lazy Husband a Lesson! Any Remedy for Post-Birth Swollen Feet? Business Class on Emirate or Etihad? Ideas for How to Make Treasure for a Treasure Chest?! Hippopotamus Needed for Son’s 1st Birthday?!?! Does Hong Kong Pollution Cause us to Lose our Hair? Grieving Hong Kong Mom Gives Birth to Baby Boy! “Stunning” View of Pollution as Visibility is Nearly Zero! Genius Ad: Brad is Single! Fly Norwegian Airlines to Los Angeles! Anonymous Mom Rescues Other Mom Covered in Vomit – Who Was That Masked Mom? A Range of Responses to Question: What Do You Call the “Girl Part”? Daughter is “Downright Rude” and Naughty. Does a Non-Punishment Approach Work? Hong Kong Moms Feels Abused by an Elderly Woman on Bus! Normal? “Life is Beautiful” Letters Askew and Driving “OCD” Hong Kong Moms Nuts! Sunday Brunch Seems Pricey! How Much Should it Cost and Where Should We Go? It Turns Out We ALL Have an Opinion on How Often to Change the Bed Sheets!? The Frustrations of Trying to Get a Taxi in the Rain! How to Order One? Freaking Out Over a Hideous Spider! Where Can Five-Year-Old Son Fashion Designer Prodigy Find a Mentor? Two-Year-Old Rejects Mom for Helper, What to Do? Is it Possible to Successfully Dispute a Traffic Ticket? Four-Year-Old Daughter Dreams of Disneyland Wedding…Normal? Guy Begging For Travel Money?! “Friend” Needs Botox! Where Should, Um, She, Go? Should Children Under Two Go to Indoor Playrooms? Moving to HK and Can’t Figure Out Where to Live! When is an Epidural Administered During Childbirth? Newly Hired Helper’s Biodata is Bogus! What to do Now? Lesson Learned the Hard Way: Don’t Store Stuff When You Move to HK! Help! 13-Year Old Daughter Wants to Look Like a Kardashian! Advice Needed: People Say Son Looks like a Girl?! Banana Slide is Back in Hong Kong Park! Campaign to End Tide of Rubbish; Pictures Sent! Outrage Over Being Overcharged at Grocery Stores! Where Can Girl Donate Her Hair? Husband Downloaded Inappropriate Book for Daughter, Help! Tipping Uber Drivers – Does it Impact Your Rating? Food Allowances for Helpers – Why or Why Not? 22 Weeks Pregnant and Craving a Glass of Wine…Is it OK? Does a Heavenly Detox Spa Exist? A Mom Needs a Break! Is the Baby Name Hillary Too Old-Fashioned? Too Much Pressure on Women to Wax, Pluck & Groom! Employee at Great Spotted Swapping Organic Eggs with Regular Eggs?! Indonesia Helpers Banned From Working in Hong Kong?! A Wax Gone Wrong But No Apology! How Can Helper Obtain Career-Changing New Skills? Hong Kong Moms Track Down Mystery Gorgeous Dress! Bringing Up Children in Australia Vs. Hong Kong? Cats Still Missing in Sri Lankan Flood! Helper Asks for Reference Letter for Insurance. Legit? Excessively Tired Two-Year Old, Just a Phase? What Would Chinese People Find Offensive in Other Cultures? Can Stores Charge 50 Cents for a PAPER Bag? Suggestions for Favorite Disney Movie? Hooters Hits Hong Kong! Grrr!! Mom Shreds Helium Birthday Balloon in Ceiling Fan! Dumpster Hamster is Now Thriving Thanks to Rescue! One Final Dinner in HK! Where Would You Go? Kids Sharing an Ice Cream Cone — Cool or Uncool? Need Window Screens to Keep the Mosquitos Out! Sleeping Like a Baby? Not So Much…. Taxi Fare Gouging at the Rugby Sevens! Helper Using A Brush Full of Mold!!! Disney or Ocean Park Annual Pass? Vote Now! Honest Bee Exotic Meats Advertising E-Mail Has Us Outraged! Newcomers Looking to Take Their First Holiday. Best Spot To Start Out? Seeking Advice From Design-Savvy Hong Kong Moms! Which Coffee Table Looks Best? Are There Any Quiet, Grandparents-Worthy Restaurants in Hong Kong? We Want Dim-Sum for Dinner! Where to Find It? Breaking News! Boys Spotted on MTR Giving Up Their Seats to the Elderly! Long Haul Flight Ahead — What are the Best Apps to Keep a Kid Entertained? A Baby’s Development: What is Normal? Success! A Hong Kong Mom Finally Rids her House of Mold!